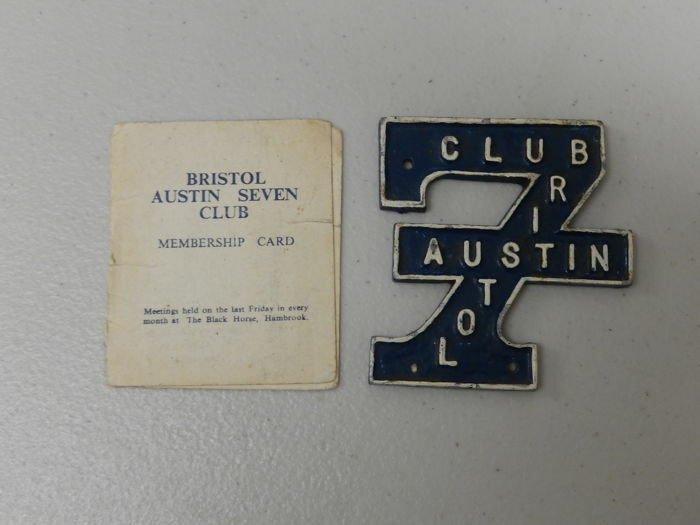 Aluminium car badge designed as the number "7". 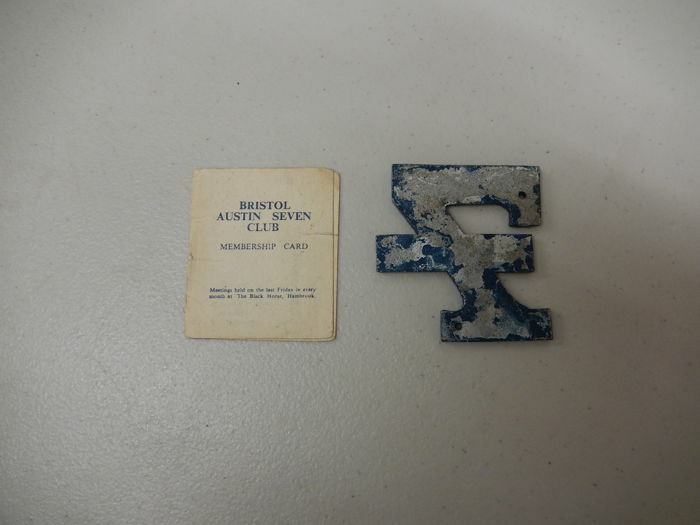 Has plenty of it's original blue paint and has a great vintage feel to it. 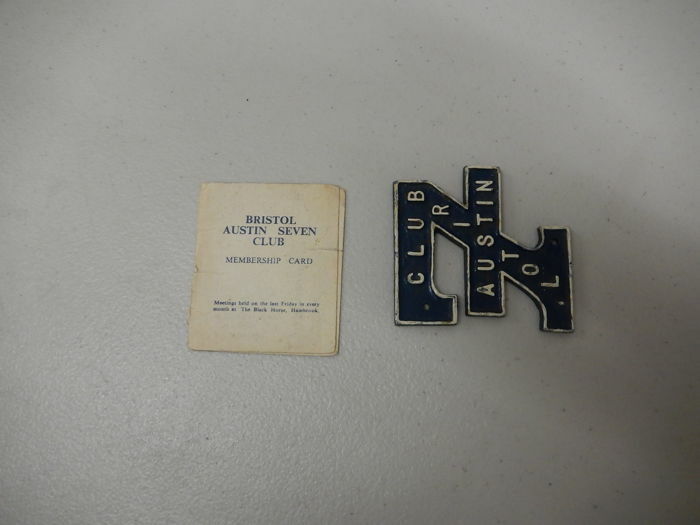 This badge was designed to fit onto a grille using the holes. 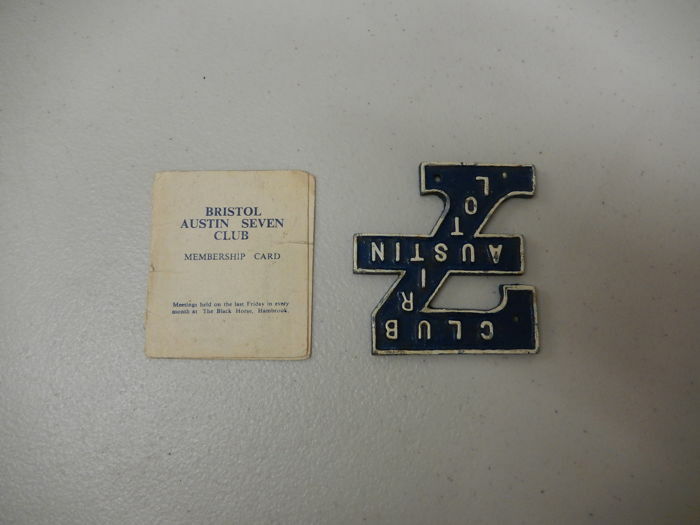 Measures 7 cm x 7.5 cm. 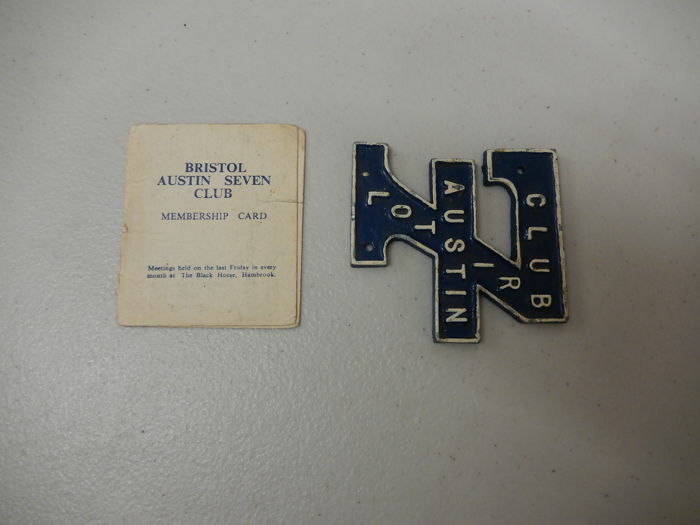 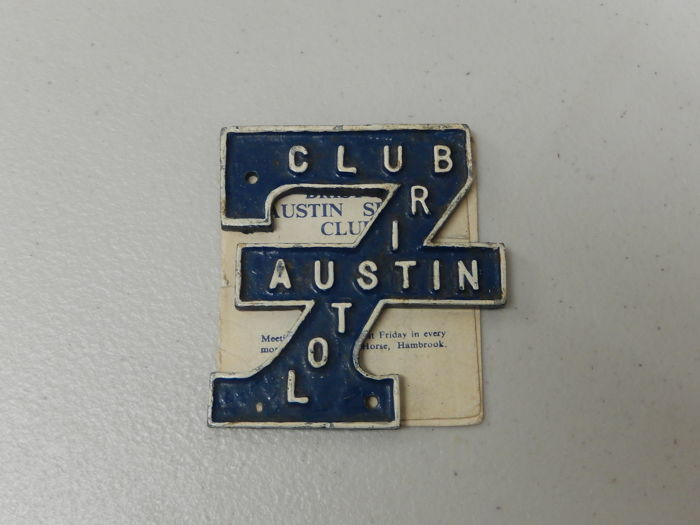 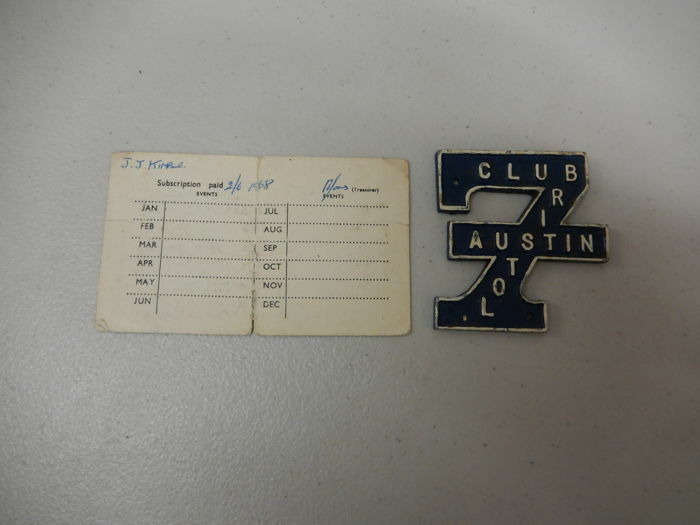 Also comes with small original Austin 7 membership card dated 1968.